Lily's Florist is Australia's leading flower retailer with a reputation for exceptional customer service and stunning, fresh flowers. Australian owned and operated, Lily's offer a same day delivery service. 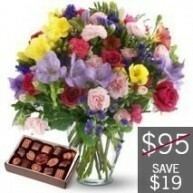 Whether for a birthday, wedding, funeral, Mother's or Valentine's day, we have the flowers for your occasion. 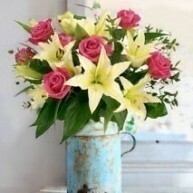 Lily's Florist™ is Australia's #1 delivery florist. 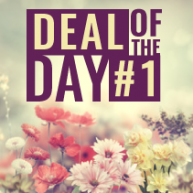 – Delivering Fresh Flowers Through Your Trusted Local Florist Australia Wide including Hobart, Brisbane, Canberra, The Gold Coast, Toowoomba, Townsville, Darwin and every town and city in Australia! 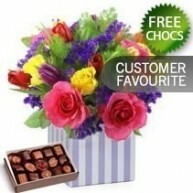 We are a Australian family owned and locally operated business, and support family owned Florists around Australia. Lily’s Florist strives to maintain emotional connections with our staff, our network of delivery florists, and our customers. We take pride in our partner florist’s successes and we believe in the value of building long-term professional relationships with our support staff and our clients. 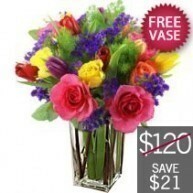 At Lily’s Florist, we put great importance to what each individual brings to the Lily’s Florist family. 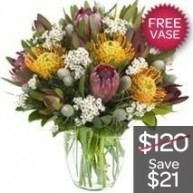 Lily’s Florist™ represents a hand selected network of skilled Florists Australia wide. Lily's Florist™ implement a strict membership criteria for our florists. 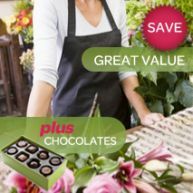 This strict membership criteria ensures our clients the guarantee that they get only the best flower products from our store. 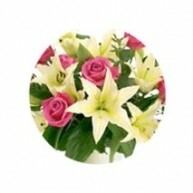 We provide same day flower delivery service in Australia. Our proud florists are equipped with superior skills and experience to deliver the best every time. 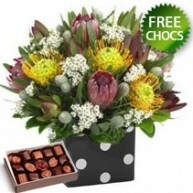 At Lily's Florist™ we take a personal approach to servicing fresh flower deliveries Australia wide. 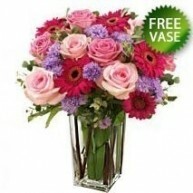 We are simply the #1 delivery floral service in Australia! Using this secure site and paying with PayPal or credit card, or calling a free call number 1800 466 534, you can order flowers to be sent anywhere in Australia. Lily's is a family owned and based Australian business. We do not have an overseas call centre. When you call us, your call will be answered by one of our friendly, helpful, Australian staff members. We have been in the floral industry for many years and understand the importance of providing fresh beautiful flowers and an exceptional standard of customer service. 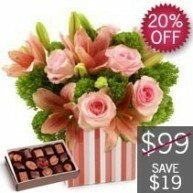 Lily’s Florist™ Australia has member florists in every town and city in Australia. This means that we can deliver fresh, quality flowers AUSTRALIA WIDE using our exclusive network of highly skilled florists. Delivery locations include: Sydney and all Sydney suburbs, Melbourne and all Melbourne suburbs, Brisbane and all Brisbane suburbs, Darwin and all Darwin suburbs, Adelaide and all Adelaide suburbs, Perth and all Perth suburbs, Canberra and all Canberra suburbs, Hobart and all Hobart suburbs. All major Australian towns and cities including: Cairns, Townsville, Toowoomba, Mackay, Rockhampton, Gold Coast, Tweed Heads, Wollongong , Coffs Harbour, Port Macquarie, Dubbo, Tamworth, Maitland, Newcastle, Wollongong, Ballarat, Bendigo, Geelong, Mount Gambier, Albury, Wagga Wagga, Launceston, Devonport, and every town and city in between! FRESH & FUN: Behind Lily’s Florist is a team of young individuals and innovators who are ready to bring in fresh ideas and more creative products. We are in-tune with the current trends in floral artistry, flower gift-giving and flowers in general. As such, we are able to provide our clients with fun and exciting floral gift packages that are truly designed to delight both the giver/sender and the recipient. When it comes to wonderful and affordable flower gifts, unique flower gift-giving ideas, prompt same-day flower delivery, and impressive and expressive floral ensembles – you can count on Lily’s Florist. We send flowers online - and stock Christmas Flowers, Valentine's Day Flowers, International Woman's Day Flowers, Hampers, & Mother's Day Flowers. 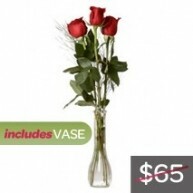 We also stock the largest range of roses of any online florist in Australia and flowers in a vase.